Have you ever thought about what happens to those delicious winegrapes making your shiraz or riesling after they have been crushed for their juice? With over 1.6 million tonnes of winegrapes crushed in 2011 this gives a lot of skins! This article is a must-read – the answers may surprise you! There are a number of trends in the global wine industry, based around efficiencies, competition, consumer preferences and environmental concerns. With regard to the environment, there is increasing concern over how ‘green’ a bottle of wine might be, its carbon footprint, the efficiency of use of water, energy, inputs, etc. It seems to me that in the wine industry, where the winery waste goes is an integral part of the picture. In 2007 I did a winemaking course with Hamilton Secondary College, and we made our wine at Patritti winery in metropolitan Adelaide. There I heard that the big purple pile of pressed grape skins – the ‘grape marc’ – would go to ‘Tarac’. From that we were told, alcohol was retrieved and sold back to Patritti to go into their fortified products and brandy. I thought little more about it. In 2009 I worked a vintage at a much larger winery in McLaren Vale, 35km south of Adelaide, and saw huge piles of marc accumulating – I heard mention of this marc going to ‘Tarac’. I have since worked at, and visited, a number of wineries, and this name popped up time after time. So who is Tarac and what does it do? Where indeed! Tarac takes in up to 78% of all grape marc coming from the nation’s wineries. The remainder is either in Queensland, Western Australia or other outlying areas, or some places use the marc for composting. There are four sites – the main production and distillery facilities in Nuriootpa in the Barossa Valley, one in Berri in the Riverland, and one in Griffith in NSW, all strategically placed in major winegrape-growing regions. Wearing my Wine2030 hat, I visited Tarac Technologies at the facility in Nuriootpa and was kindly hosted by Julie Rawlings, their Marketing Co-ordinator. I was shown around the facility and shown the processes that the winery waste goes through in order to be treated, used, recycled or disposed of. Nothing is wasted, and as Julie says, where people see waste we see a resource! Here is a simple overview of the ‘closed loop’ of processes – the Tarac Technologies website is extremely informative if readers wish to get more detail. It is a closed loop because nothing goes to waste. Step 1 – each delivery of the marc is tested in the lab for its quality. The highest quality grape marc, i.e. that which has not been sitting at wineries for a long time, and has high levels of colour and antioxidants, goes through a process where skin tannin and seeds tannins are extracted, then it goes back in with the general grape marc deliveries. Step 2 – the marc is steam distilled for the grape alcohol which is used for fortification of wines, for vodkas, brandies – anything that needs a spirit base. Step 3 – calcium tartrate is extracted from other residuals, and is converted into tartaric acid and sold back to the wine industry. 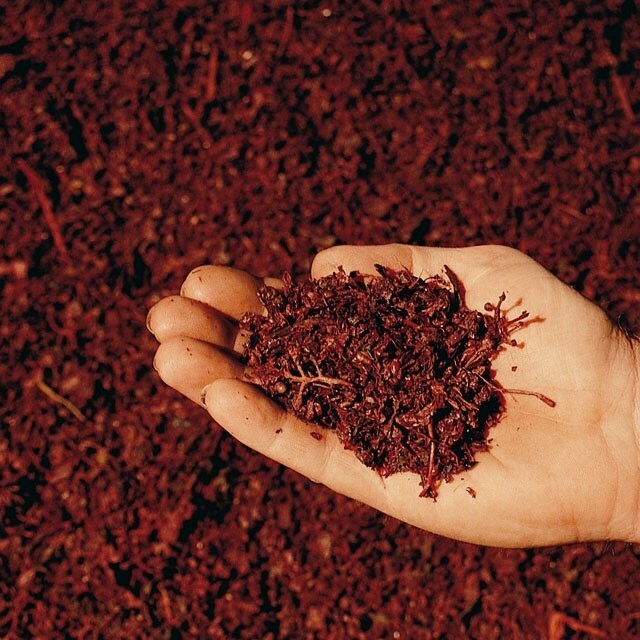 Skin and seed extracts are sold to wineries, as well as the food and non-alcoholic beverage industry. Step 4 – the remaining marc is converted to stock feed pellets or compost soil conditioners. This is sold to the agricultural industry. Some of the compost soil conditioners also go back to the vineyards. The other solid residuals, such as filter cake, are also treated to extract alcohol and calcium tartrate. 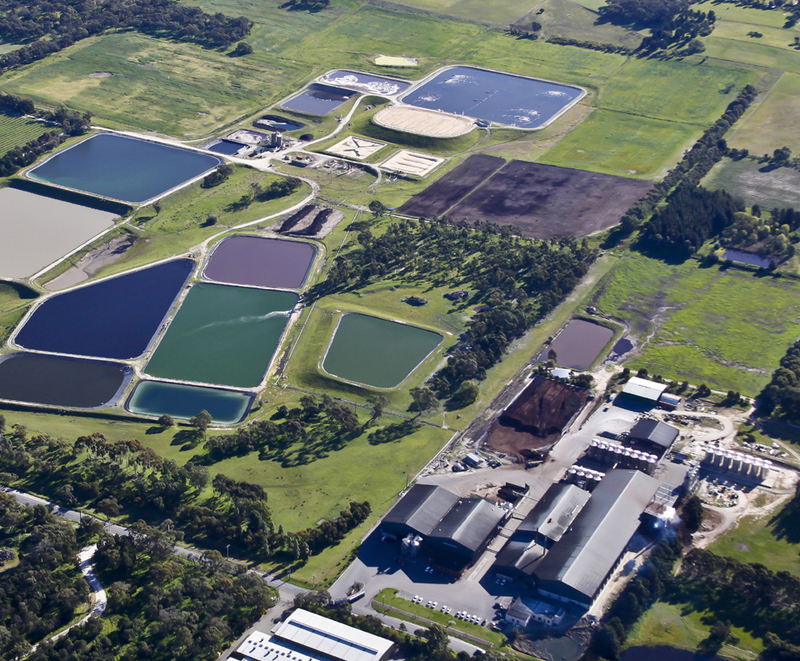 The liquid residuals, including tank lees and distillation wine, are processed to extract these elements and the remaining liquid is treated at the wastewater treatment plant – see below. Wastewater: Walking around the Nuriootpa facility, Julie points out a vast wastewater treatment plant. Tarac co-owns this plant with one of the major wineries here in the valley and all of the liquid wastes from Tarac’s processes go through that treatment plant to produce ‘A Class’ irrigation water. The water is then used for irrigation, going back to local vineyards and pasture, and is also re-used in Tarac’s own processes. Energy: The facility clearly needs to use a significant amount of power to heat, process and extract. One of the outputs captured at the wastewater treatment plant is biogas – and this is used as a fuel in the processing of winery waste, helping to offset Tarac’s consumption of other fuels and greenhouse gas emissions. De-alcoholisation of wine (AlcoTech) – Julie tells me “there is now a higher demand for wines to have a lower alcohol content, in particular for export. Winemakers deliver a small portion of their blend (typically only 10%), to Tarac where it undergoes a process to separate the colour (including tannins, flavour and aroma), alcohol and water components. The colour and de-alcoholised grape water are then returned to the winery for re-blending, producing a wine with the desired alcohol volume. Grape juice concentration – Tarac offers a service whereby grape juice is delivered to the Nuriootpa production facility and concentrated to meet the winemaker’s requirements. Anyone in the wine industry should know what happens to their winery waste and after seeing what does happen to it – you might start to see a slight green tinge to your wine! This entry was posted in Barossa wine, McLaren Vale wine, New World wine, Riverland wine, South Australian wine, Wine news, Wine2030, Winemaking, wine appreciation and viticulture courses and tagged Australian wine, Barossa, green wine, Tarac Technologies, Wine, Wine2030, winemaking, winery waste. Bookmark the permalink. Thank you so much for this delightful article of content which im sure would have taken a decent effort to put together.